1. Get quotes from multiple lawyers with this form. 2. We have pre-selected the first 5 lawyer results for you. 3. This is not a service for free legal advice. Mr Lim and his team were very efficient and professional. Fees were very reasonable, about the same as the other firms. He had advised me not to spend too much and helped me to negotiate with my spouse. He knows the law very well and was very firm in his views. I felt safe and confident because he was very firm and sound. Would absolutely recommend Mr Lim. Very professisonal and quick service. Reasonable fee. I consulted a few lawyers to compare them and prices. 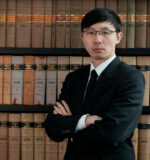 Mr Lim is the most experienced and his team is considered by many to be one of the best family lawyers. His fees are also very affordable and competitive. Quality and price are all acceptable. And I am glad that I chose him. Extremely professional and fast in responding to me, and they settled my divorce and everything was over as promised within 4 months! Highly recommended. Very good and professional service. I engaged Mr Lim and Jane to get probate. It was done very smoothly and efficiently within 4 weeks – super fast. The fees were fixed and one of the lowest. I am very pleased with PKWA Family Law. My matter was handled very well. It was stress free & the fees were fixed, which gave me a lot of comfort. From the first free consultation, I could see that PKWA Law has an enormous amount of experience and ethics. I first saw Mr Lim and Ms Chow They guided me and were very professional and knowledgeable. What I especially like is that they told me what I could get and could not get. When I wanted to take a certain approach, Mr Lim told me not to spend money unnecessary as he felt I won’t succeed. He was very frank and honest and it is refreshing to see that he charged a much lower fee instead of charging a higher fee to fight an impossible case. The commitment of the lawyers and support staff to my case was outstanding. Mr Lim Chong Boon was highly recommended to me by a trusted friend. Very experienced and kind man. With his and his lawyers help, I got a good finanical settlement and my case did not take too long. I can understand why they are one of the top family lawyers. Very impressed. Having PKWA Law family team to handle my personal and family’s legal matters really put my mind at ease! Mr Lim and his secretary, Jane Ng, displayed the utmost efficiency and professionalism; from explaining legal procedures to jargon, Mr Lim and his secretary made each step easy to understand. Furthermore, fees were reasonable and work as delivered within promised deadline. Having PKWA family team to handle both my own and family matters (Wills, LLPs and Probate) was certainly a good choice! Ms Jane Ng who attended to me displayed exceptional service and professionalism in handling my matter. Jane not only had insightful knowledge but also the patience in explaining confusing legal matters and jargon to ensure that everything is understood. Fees were furthermore affordable and I am very satisfied with their services. I will strongly recommend anyone to go to PKWA should they require any legal services. Very kind lawyer. Listened to me attentively. He is very assertive and knowledgable and gets the job done. Highly recommended. Mr Lim Chong Boon was fantastic. He and his team of lawyers kept me always informed and were compassionate and sensitive about my case. He truly has an amazing team backing me up. I always felt secure knowing that they had my interests at heart. They are without doubt the best divorce lawyers in Singapore. I engaged Mr Lim for Grant of Probate. He and his staff did a wonderful job for me. Everything was done professionally and I got my Grant of probate within 1 month! The fees were very affordable and reasonable to a person like me who dont earn much. They also did a great job in explaining what my family had to do after we got the Grant of probate. I will recommend Mr Lim for anyone who needs to do a grant of probate. My daughter went through a very bad and high conflict divorce case. 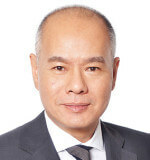 When we met Mr. Lim, he said he does not guarantee the outcome of a case but he and his team would try their very best. His team managed to settle the case for us with very reasonable fees. What impressed me was the dedication, hard work, integrity and compassion shown by Mr Lim and his lawyers. Every angle was covered, every research was meticously done. My daugher is very happy with the settlement and having seen at close hand the hard work put in, I am very glad that we chose him and his law firm. If anyone is looking for a divorce lawyer, I strongly recommend Mr Lim Chong Boon from PKWA Law. Mr Lim was very patient and knowledgeable. I had heard about his achievements and when I engaged him, I was not disappointed. When I was fighting the divorce case, It is clear to me that he and his team of divorce lawyers are divorce specialists and very well versed in family law. They were very responsive, and knew their stuff well. Everything was done professionally. Thanks to him and his team, I got what I wanted. I found the fees to be clear and affordable. Even though he is very senior lawyer and I am a normal guy and much younger, he addressed me as “Mr K” and showed me so much respect! I highly recommend him. I highly recommend Mr Lim Chong Boon’s services! I needed divorce help urgently and he provided very calm and cost effective advice. He helped me a lot and took care of my case with no drama. Thanks again. I have been using Mr Lim’s services since 2009, the first time for my will and the second for my divorce. Both times, he was efficient and listened patiently to my problems. I found his legal fees on his website to be very clear and transparent. Most importantly, it was very affordable to a person like me! All in all, it took me about 3 months or so to bring myself to walk into PKWA office, but to me, it seemed very long for me to live each day in that 3 months. I have confidence in your advice, though I hesitated using you due to the lawyer fees. However, I’m glad that all has been sorted out with regard to the divorce. Thanks a lot, Chong Boon. Just want to say thank you for all the support you have given me through this period. Mr Lim, I’m grateful to have met you at PKWA. All the faith and trust placed in you and your team has certainly not let me down. Your words of encouragement at critical points were all that I needed. The storm has finally passed. I’m very glad to have met you. Wish you all the very best, and may you continue to help others. My English is not very good, hence I am writing a letter to you in Chinese. I am extremely grateful to you and your lawyers Mr Tan, Jessica Chow, Jane Ng for your help. Thank you for all your efforts to help my children and me get justice and the outcome we deserve. It is also very rare to meet such a good lawyer like Mr Tan. They are all good lawyers that are hard to find. If not for all your help, my children and I would not know what to do. Amidst the practicality of society, there are very few lawyers who are willing to fight for justice and extend a helping hand to others in the private sector. Especially lawyers like yourself who put it so much effort to help my children and I obtain a PPO and the divorce. My children, family members and I sincerely thank you for your help. This journey has not been easy. Wishing you and your employees a Happy Chinese New Year, and that all things will go in your favour. I have recently received the judgment from the Family Courts for my divorce case. Finally!! From a seemingly hopeless scenario when I first turned up at PKWA Law, it is a ruling that is truly way, way beyond what I could expect, or even dared dream! Not only does this conclusion to my 3-year long tedious divorce process bring huge relief, this Court ruling has also very much restored my faith in the Singapore judicial system as well. I can truly & positively testify that PKWA Law is certainly one of the best, if not the best, legal firms here and will not hesitate to highly recommend it to anybody in need. We always have faith that we will be well taken care of since the day we entrusted our case to you. And it has proven that we made the right decision. Thank you very much for the hard work from you and your team. Thank you once again, Chong Boon, for working on this case for me. Very much appreciated. I am very pleased with the end result and am also impressed at the length of time, taken to reach its end. I expected it to be longer, but it turned out to be the contrary. I appreciate the professionalism you displayed and grateful for the service rendered. Thanks again for the help and service on my case. I’m glad it has a closure now. I found him to be helpful and would recommend him to others who may need similar service. Kim is a very experienced, competent and caring lawyer who walked me through the whole divorce process efficiently and effectively. She is always willing to go the extra mile to make sure that I feel secure and content with the process and outcome. I am deeply grateful. I first met Tan Siew Kim from Kalco Law earlier this year in March 2015. Six months later today, my divorce has been finalised and this would not have been possible without the hard work of Ms Tan. As a lady, Ms Tan was in a better position to understand my concerns and needs. I thus felt that she was able to relate better to me as a client, which is why I decided to specifically engage her services after speaking to a few lawyers. Throughout this very difficult process and the most challenging period of my life, Ms Tan has been a pillar of support who has been reliable, efficient and understanding. I am very grateful for her help and most definitely recommend her to my friends and family for her professional services in the future. In 2017 , I had the opportunity to be in Singapore & got a Power of Attorney from Ms Lee Kim Kee ! Very efficient service, friendly & reasonable charges ! Now made some enquiries from Germany , got a prompt reply too ! Reliable too ! Simply great ! Fast and efficient service at competitive rate. Very friendly and professional advice from Ms Lee. Ms Lee is very helpful and able to address my queries. With just one visit I am able to sort out what i need to do and execute what I have to do. Her charges are very reasonable and will surely recommend her to my friends if they need her services. The delivery of service was fast, and we could get the necessary documentation within our rush time frame. 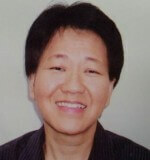 I was recommended to Ms Lee Kim Kee and find that she is very friendly, patient and helpful despite her tight schedule. I’ll recommend my friends to Ms Lee. She has a team of efficient staff. Bravo! Very professional and efficient. Friendly, very understanding and easy to work with! They are very accommodating and really knows how to handle a customer properly. Arrange for a deed poll. Fast and efficient services and rate is very good. Great and fast service. Got my documents notarized in under a day! I love the friendly fast and affordable service here!! 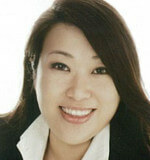 A friend recommended us to Ms Lee (Kim Kee) as an experienced and approachable lawyer. After meeting with Ms Lee, we certainly concur with our friend’s views as she thoughtfully answered our queries. Her admin team is cordial and advised us to prepare some documents in advance which led to completion of our requirements in one visit. Highly recommended! Ms Lee is very well verse in law and she addresses my questions and concerns very promptly. I am thankful that she handled my case with patience. She provided me with sound legal advice every step of the way. I am so glad that my case has finally been resolved and I am really appreciative for all her help. I sincerely recommend that anyone seeking legal assistance to consider KK Lee Law Corporation. Ms Lee effectively answered all our questions and cleared our doubts. She made the process really simple and speedy. Her fees were also affordable for her years of experience. I highly recommend Ms Lee to anyone who requires professional advice. Ms Lee was efficient and precise throughout as she completed our request in a single day. She is also engaging and sincere in what she do. Thank you Ms Lee! I highly recommend Ms Lee to anyone who is looking for a professional law firm. Thanks to Ms. Lee Kim Kee for her patient and careness to answer my questions and giving me lots of valueable advice. I am very happy to have met with Ms Lee Kim Kee and her staff. They are extremely friendly, helpful and went the extra mile to help check up on additional details for me. Heartfelt thanks to Ms. Lee. She sure knows how to make agitated and stressed client like me to calm down and see things clearly. She is very professional and most of all compassionate. My experienced with her is beyond satisfaction. Will definitely recommend her service. Thank you Ms.Lee! I have repeatedly engaged Ms Lee to handle my various legal matters like divorce proceeding, will-writing, conveyancing, loan agreement and LPOA. Throughout my dealings with her, she has put my interest at heart by providing sound legal advices, as well as helping me to save legal cost where possible. Highly recommended! I want to sincerely thank Ms Lee Kim Kee for her kindness (calling within an hour of my request, understanding the urgency), in-depth analysis of situation, & precise expert advice, which has helped me to take next steps for my rental unit in a decisive manner. Much appreciated! I finally found a Lawyer for my deed poll. Service was fast and prompt. Questions ask was replied instantly. Deed poll was done the next day. Ms Lee was patient and concise in her explanation. I really appreciate her invaluable advice and her efficiency in getting my requests done within a short while. Her fees are reasonable and I will recommend her to anyone who needs legal advice. Ms Lee is very experienced and empathetic. Her team is also super efficient. I managed to find Ms Lee through SingaporeLegalAdvice. Her service was good, and I would recommend her to others. A couple of lawyers replied to me via email and SMS and I found KK Lee Law Corporation. Reasonable rates and efficient services. I would gladly recommend Ms Lee or use her again for any other matters. I wish to thank Ms Lee Kim Kee for speeding up the whole process of my legal proceedings and making it easy for me. She is very reliable. I am very satisfied with her service and high level of customer care. Ms Lee was very meticulous in explaining the whole procedure about my case. Her professionalism and invaluable advice is highly appreciated. She is very patient and compliments also must be given to her staff who are just as cordial and extremely pleasant to communicate with. I highly recommend to any one who needs a good lawyer whom he or she can relate to. Lawyer Ms Lee Kim Kee is efficient and has confidence in what she is doing. She also tries to save costs for the client. So overall, I shall recommend to the public to accept her way of doing wills and divorce. I am very satisfied. The service provided by Lee Kim Kee was very good. I would recommend her to others. Lee Kim Kee was really good. She was on point and fast. I’ll definitely recommend her to my friends and relatives! Experienced and approachable lawyer that make sure every case is well taken off and solves the problem in a professional way. For a letter of administration, I was caught in a situation with my 1st engaged lawyer, who is not from this website. KK Lee declined to take up my case but out of professionalism to let my 1st lawyer settle his mistake. I will surely recommend others to her as she still gave me some advice out of good will to handle the 1st lawyer. For this, I am really glad. The service provided by her was good. She was really efficient to help out with whatever i was requesting for. I would definitely recommend her to others. The service was good and I managed to receive help extremely promptly. She is not only efficient and helpful, but also provided a value-for-money service. I would definitely recommend her to others. Lee Kim Kee was very helpful and able to turnaround my request in a relatively short period while also charging a fairly reasonable rate. I would definitely recommend her to others. Experienced, quick and resolute. Providing clear and concise legal advice. Highly recommended. My parents have had their will drawn up. K K Lee took the time to explain first in Mandarin and then in English to my parents.